Your path to healthier nutrition starts here. Pure Whey is protein your body can feel good about. 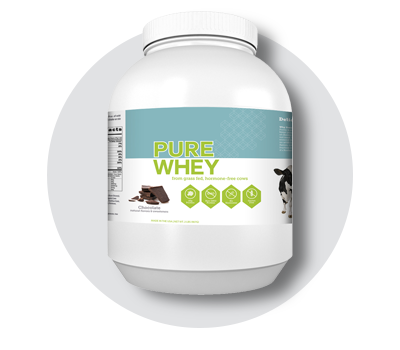 Sold exclusively at ClubSport, Pure Whey is a 100% all-natural whey protein derived from grass-fed cows and has not been genetically modified. It's free of hormones (RGBH and rBST), antibiotics, pesticides, chemicals, soy, and grain, and contains no aritificial colors, sweeteners, or flavors. Pure Whey is available for purchase in the Spa, Pro Shop, or Front Desk. Need a pre-workout boost? Too Fit “Pre” is a true health supplement designed to improve your performance and help you conquer whatever moves you. 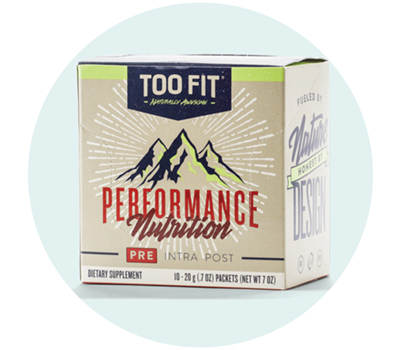 Too Fit combined the best researched-backed ingredients at validated dosages to help deliver results - all without the side effects and unhealthy additives of similar products. UCAN products helps keep your blood sugar stable, making them ideal both before and after a workout. 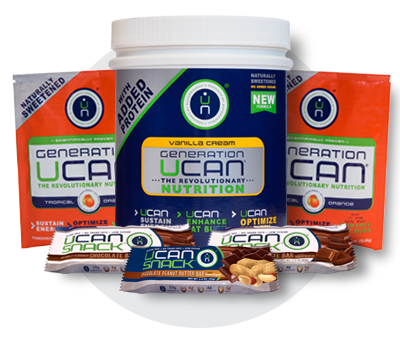 Using UCAN products pre-workout supplies a steady stream of energy to power you throughout; using UCAN products post-workout helps prevent the depletion of muscle glycogen (carbohydrates), promotes continued fat burn, and curbs hunger and fatigue. ClubSport offers a range of UCAN products, including snack bars, in many delicious flavors. Purchase UCAN products to take home, or add a serving to your next smoothie at Citrus Fresh Market. "How do I improve my metabolism?" "Do hormones affect my ability to lose weight?" "Am I sensitive to specific foods?" Get answers to these and many other health-related questions during our wellness seminars, led by experts and offered free to members and guests. Check your club's Calendar of Events for upcoming seminars. Take your weight loss and personal fitness management to the next level with the InBody520 system. This non-invasive full body analysis measures your trunk, arms, and legs to calculate body fat, muscle mass, water distribution, and muscular development. In just 30 minutes, you'll have a printed result with the information you need to revamp your diet, exercise, and lifestyle choices. MYZONE's newest physical activity belt delivers the same heart rate-based effort tracking technology as its predecessor, but with new and improved features to keep you even more focused, motivated, and engaged during physical activity. Live feedback lets you know when to push or ease off for a smarter workout. Set your goals, put in the work, track your progress, and get results! Get started with a free wellness consultation.